It is Wednesday February 7th 2018, and St Johnstone manager Jimmy Murray is watching a Scottish Cup replay between Hearts and Dunfermline Athletic. As he is leaving the stadium he has two conversations which start a sequence of events over the next 151 days which will change his life - and the lives of every Scot - and the course of World Football History. 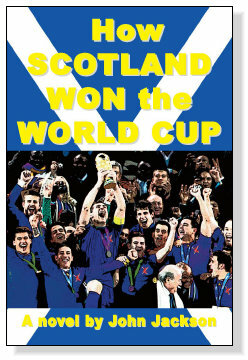 The twists and turns of how Scotland won the 2018 World Cup are thrillingly described in this 260 page softback novel.